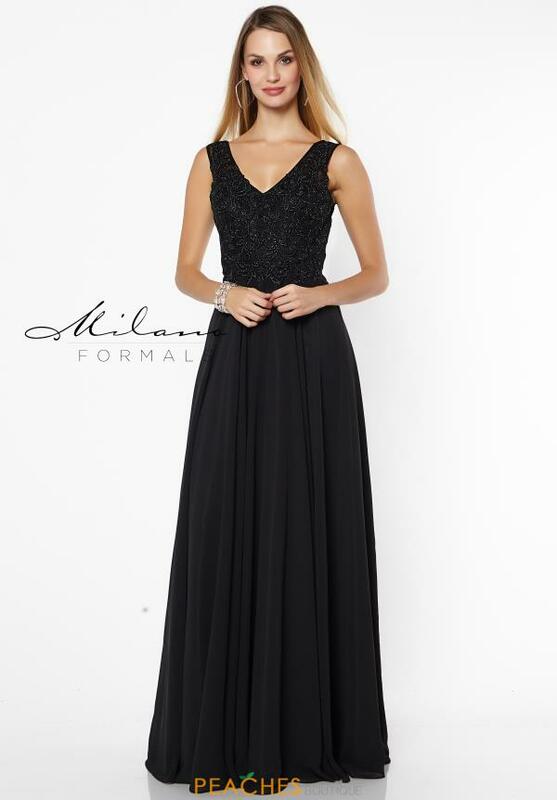 This classy prom dress E2574 by Milano Formals is a perfect choice for your upcoming special event. This elegant ensemble showcases a deep v neckline with thick straps for support and an a line silhouette. Made out of a flowy chiffon material, this gown is sure to flow beautifully as you dance the night away. Stunning appliques adorn the bodice in an intricate pattern. For more styles by Milano Formals visit Peaches Boutique in Chicago.